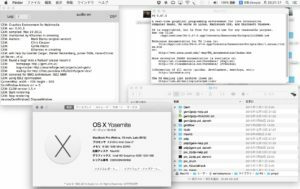 For installing externals using “deken” on Mac OSX, I was bit confused and finally found how to fix it. 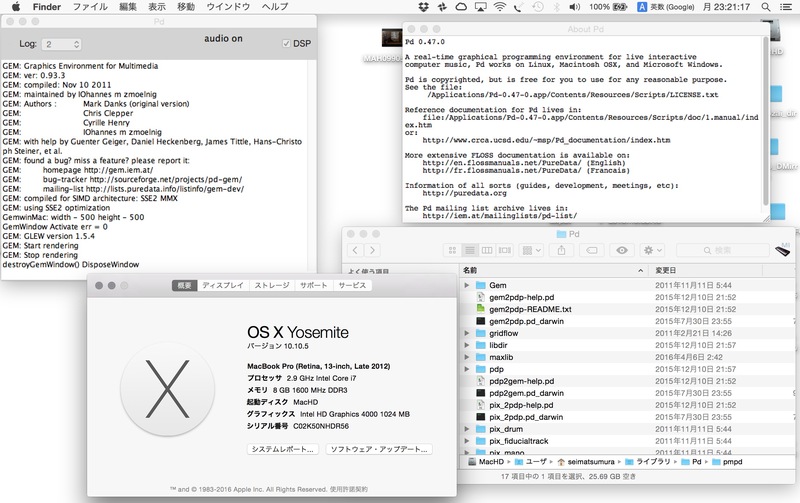 I tested on both OSX Yosemite10.10.5 and El Capitan 10.11.4 and they work fine, now. 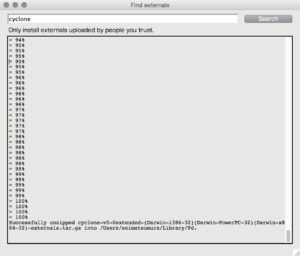 Download Pd vanilla 0.47.0 from Dr. Miller Puckette web. 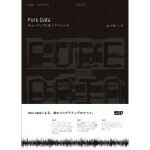 “deken” is included from this version of Pd vanilla. 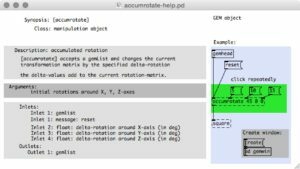 Click Help menu – Find externals(This is deken’s function). 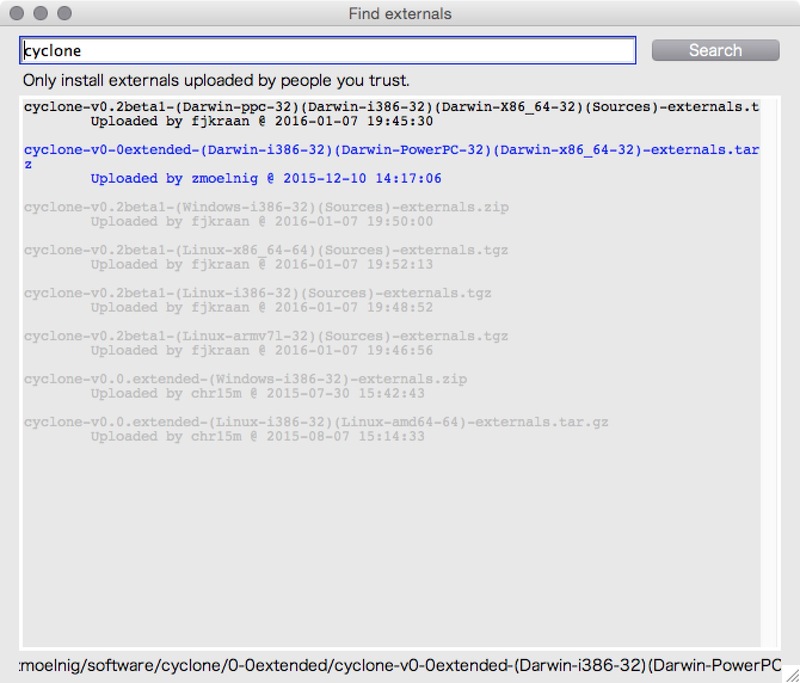 To install externals, input “cyclone” or “zexy” in the box for example and click [search] button. 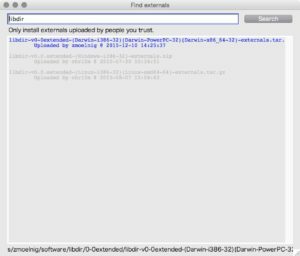 Select non-half transparent link including “(Darwin-i386-32)”, compressed files. 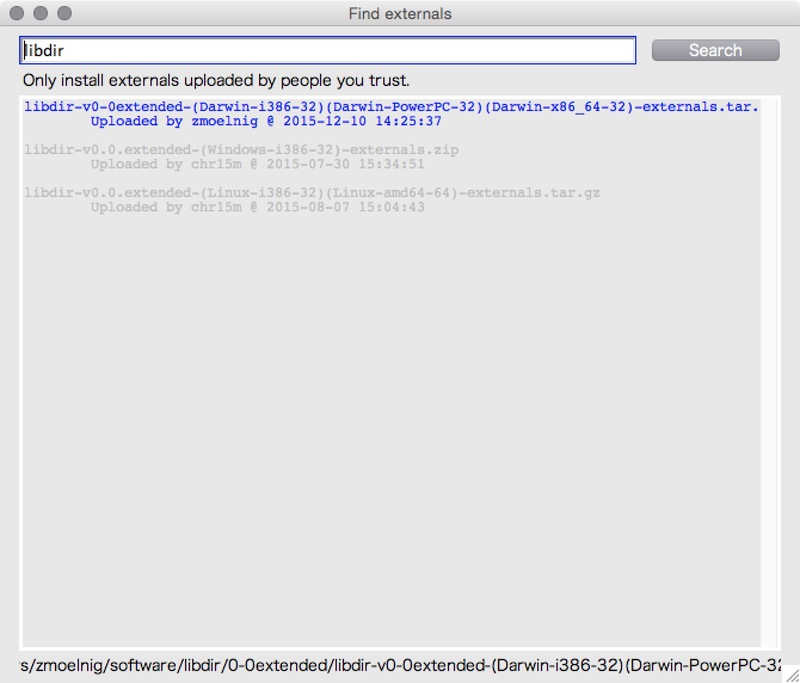 Then downloading and decompressing externals are executed. Restart Pd and you can use those externals without any declarations. Is Gem imported by deken? 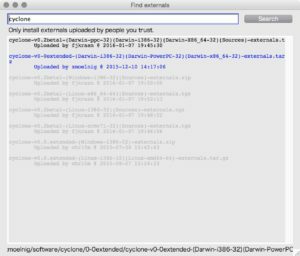 #20.5.2016 Gem 0.93.3 via deken is updated to official Gem by IOhannes Zmoelnig and it works now. I revise the following. To conclude, Gem that is installed by only deken doesn’t work properly under my environment, Mac OSX running on Macbook Air or Pro or iMac. 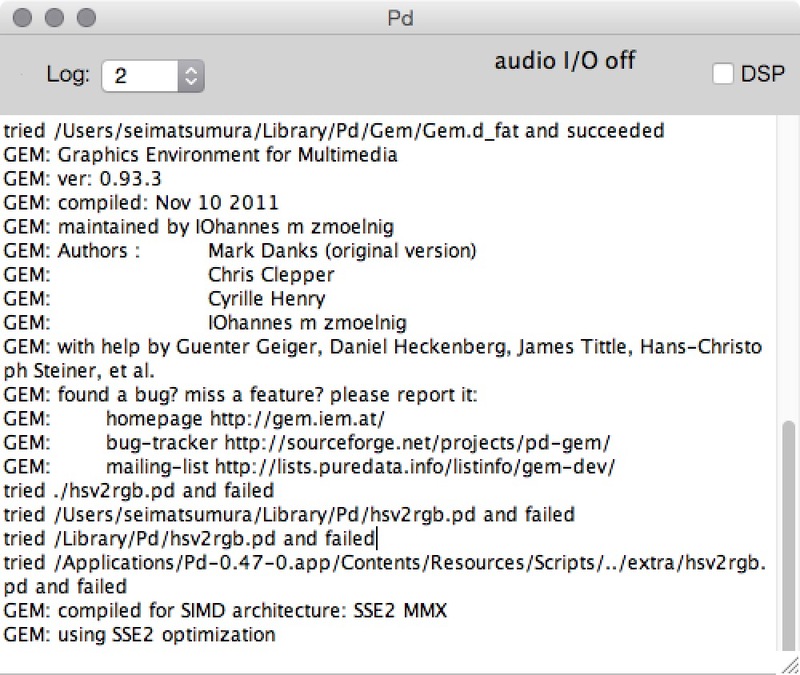 You would restart Pd and face to Gem Externals are missed even installing by deken is finished without errors. 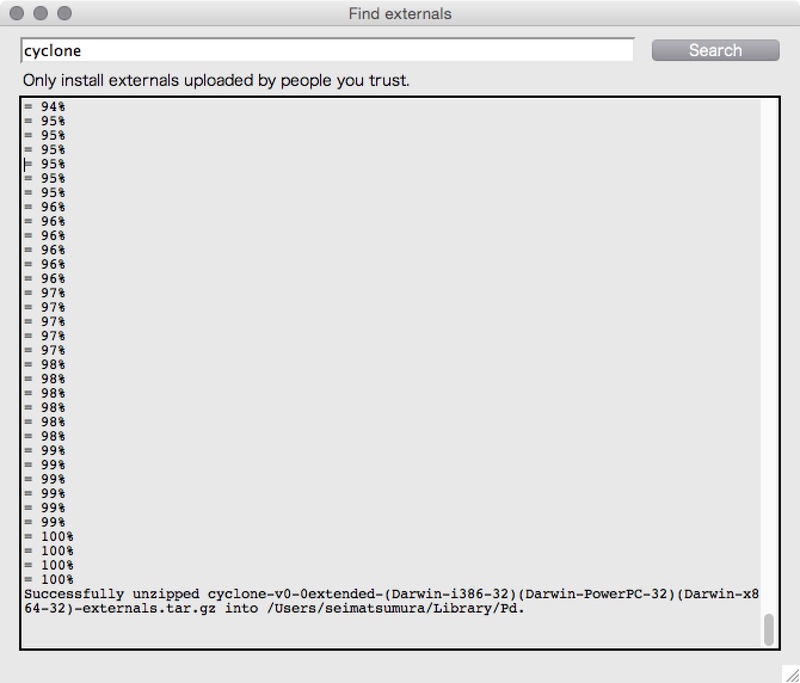 This means Gem externals are not loaded. You need to load Gem-lib. 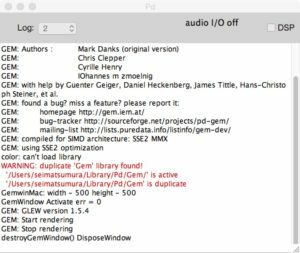 It is necessary to download Gem 0.93.3 from IEM Gem web directly, decompressed and replace it in the path of Pd vanilla. 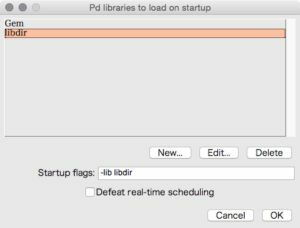 Click Pd menu- Preferences – Startup. This is for loading libraries, libdir, Gem, pmpd. After pressing [new]button, write “libdir” and [ok] button. After pressing [new]button, write “Gem” and click [ok] button. Orders are important. “Gem” should be the top and “libdir” follows. 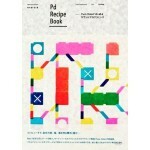 Restart Pd then here you are! You can use Gem 0.93.3. 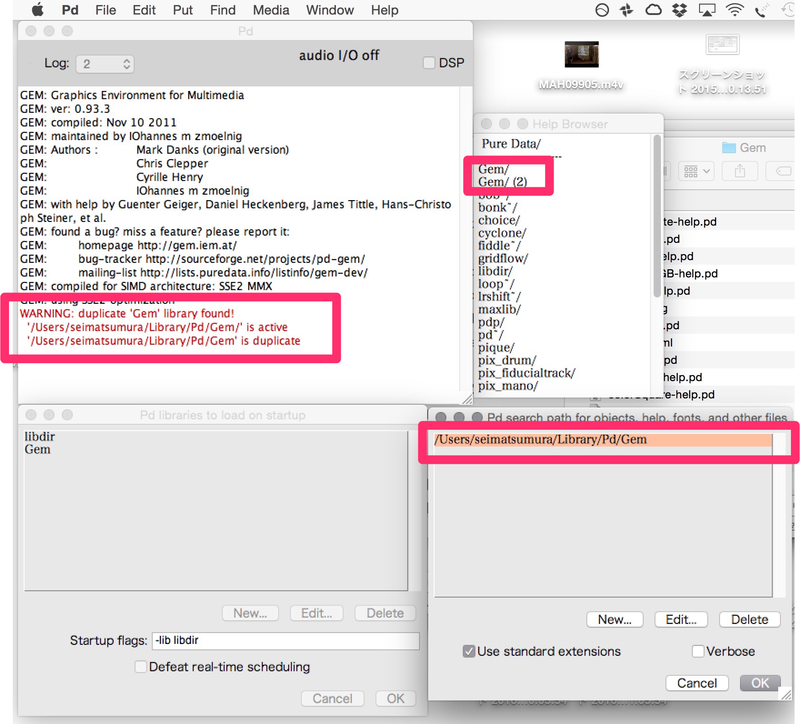 Somehow warnings telling Gem are duplicated come up after several times restarting Pd. Weird. I don’t have any ideas to fix it yet. 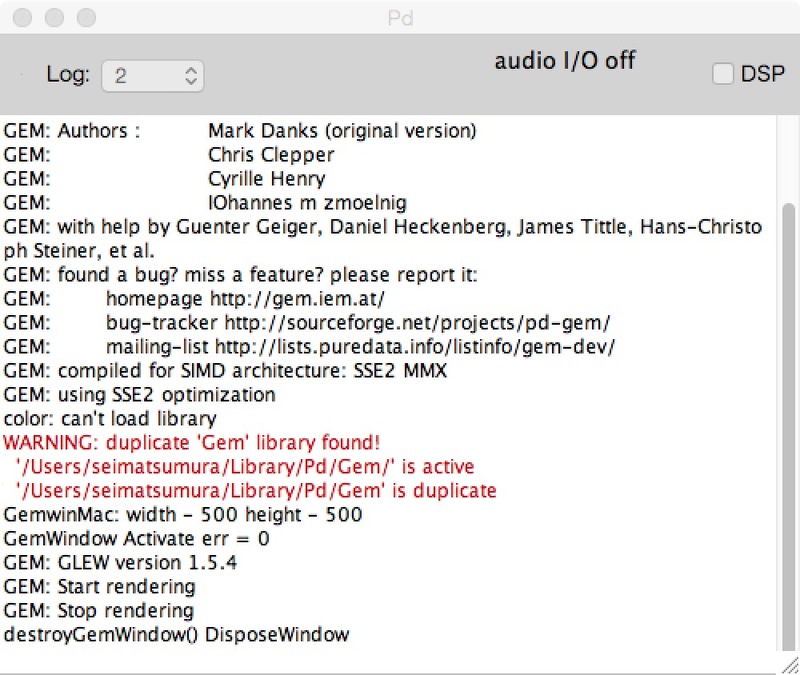 If you have warnings of duplicated Gem, just delete the path of Gem from “Preferences – Path” and restart Pd. Then warnings would be gone and Gem works fine. 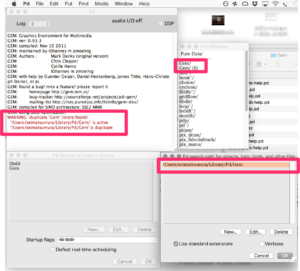 Once Gem is set in “Preferences – Startup”, the path in “Preferences – Path” is automatically made. You shouldn’t add it manually. 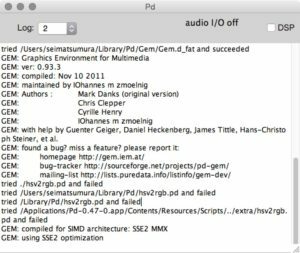 “pmpd” library works with Gem therefore you need to some procedures for loading pmpd otherwise you would have warnings of both Gem and pmpd duplicated. 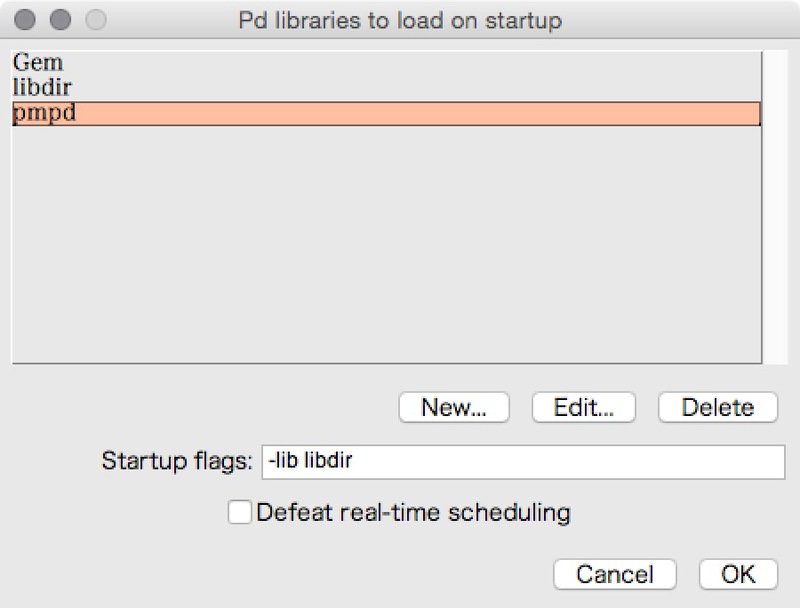 Set pmpd in “Preferences – Startup”. The order is important. It is after “libdir” loaded. Restart Pd then you can use Gem and pmpd. Pd vanilla is the on-going project so that I hope that Gem also become easy to handle someday. This procedure is just a bridge until then.